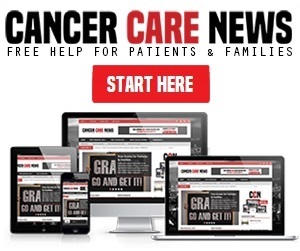 Subscribe to Cancer Care News and never miss an update. For cancer patients and their families, time away from doctor appointments, therapy and the every-day stresses of life are so important. Below is a list of programs to help you do just that. From camping retreats to beach stays to days of beauty, there is someone for everyone here. Find a program that speaks to you and then click the link to read the program’s eligibility, application process, and deadlines. Travel expenses to/from destinations are usually not included, however, be sure to check out the grants and transportation listings on our website for possible funding options. Please report any errors in these listings here. Free, medically supervised retreats in Montana that offers experiences to individuals and families affected by cancer. Unique opportunities and programs for kids and adults who have been diagnosed with this disease. All expenses except travel to and from the retreat are included. For help on travel costs, please see our transportation and grant sections. Camp Mak-A-Dream accepts participants who are in or out of treatment. For more on the programs and to apply visit https://www.campdream.org/camps-programs/. A fun, supportive day program available nationwide that teaches that teaches beauty techniques to women with cancer to help manage the appearance-related side effects of cancer. The program includes lessons on skin and nail care, cosmetics, wigs and turbans, accessories and styling and is open to all women with cancer who are undergoing treatment. To locate a participating beauty professional near you, visit http://lookgoodfeelbetter.org/about/about-the-program/#program-finder. The HopeDay program offers fun and totally free events and activities for the whole family of a child age 0-18 who has a life-threatening medical condition. Activities are planned every month and include things like attending sporting events and concerts, going to the theater, museum visits and other things to do that involve the whole family. For more and to submit an application, visit https://www.hopekids.org/become-a-hopekid/. Free, week-long vacations for breast cancer patients and their families to encourage taking time out to relax, reconnect and rejuvenate. Retreats are held at locations in North Carolina, South Carolina, Alabama, Maryland, Texas, Michigan, Arizona, Florida, and California. All expenses except travel to and from the retreat are included. For help on travel costs, please see our transportation and grant sections. Applications are usually open each year from October to August. To find out when the next retreats are being held and to submit an application, please visit https://www.littlepink.org/retreatapplication/. Camp Erin provides kids 6-17 who’ve lost someone significant in their lives with a fun and supportive weekend camp that includes fun camp activities as well as grief education and emotional support, free of charge for all families. Camps are available nationwide. For more on Camp Erin and to locate a camp near you, please visit https://moyerfoundation.org/camps-programs/camp-erin/. Camp Kesem offers free, week-long summer camp sessions to kids age 6-18 nationwide who have a parent who’s been diagnosed with cancer, undergoing treatment, or lost their battle to this disease. Activities include arts and crafts, sports, water activities and adventure/nature. Camp Kasem provides “a community of children with similar experiences, and a safe and welcoming environment to have fun and rediscover their childhood.” To locate a camp near you, visit http://campkesem.org/find-a-camp. Nationwide junior camp program for kids age 7-13 who have a parent or caregiver who has been diagnosed with cancer. Camp activities include swimming, archery, canoeing, arts and crafts and more. The mission of Kids Konnected is “to provide friendship, understanding, education and support for kids and teens who have a parent with cancer or have lost a parent with cancer.” For more on this program and upcoming camp dates visit https://www.kidskonnected.org/jr-camp. Offers all-expense paid Legacy Retreats to families whose children are facing the loss of a parent. Retreats offer opportunities for families with children under the age of 18 create lasting memories as well as tools to cope with a parent’s terminal illness. 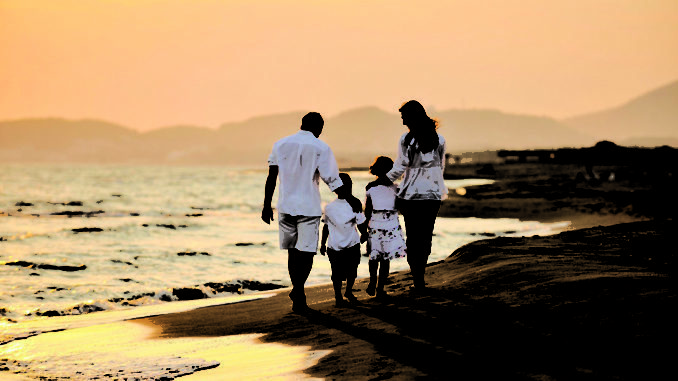 For information on the many family retreat options, please visit http://www.inheritanceofhope.org/retreats. A free, three-to-six day outdoor adventure for cancer survivors age 18-39. From the website “We use adventure-based experiences such as surfing, outrigger canoeing, standup paddling, skiing, and snowboarding, as channels of healing and renewal to treat the mind, body, and soul.” To check out retreat options and schedule, please visit https://www.projectkoru.org/why-we-exist/. A once-a-year weekend-long retreat for cancer patients, families, and caregivers that offers support and education to help manage this disease. From the website, “The goal of the Stowe Weekend of Hope is to provide a low- or no-cost opportunity for cancer survivors, their families, and caregivers, with access to education, healing, and support throughout a weekend-long retreat in Stowe, Vermont.” For retreat schedule and more information, please visit http://www.stowehope.org/about-swoh.html. Provides breast cancer survivors with a unique weekend-long retreat that combines fly-fishing with comprehensive peer support. From the website, “The program offers opportunities for women to find inspiration, discover renewed energy for life and experience healing connections with other women and nature.” Retreat locations are available nationwide. For more on this program and retreat location near you, please visit https://castingforrecovery.org/breast-cancer-retreats/locations/. The Diva for a Day program treats breast cancer patients to a day at the spa free of charge. 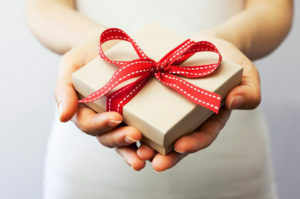 For participating spas across the US, see http://www.divaforaday.org/participating-salons/. If you know a deserving Diva who has been recently diagnosed, is currently in treatment, or is less than 6 months out from the completion of treatment, you can nominate them for the Diva for a Day program here: http://www.divaforaday.org/nomination-form/. Outdoor adventure program for young adults between the ages of 18-39 who have been impacted by a cancer diagnosis. Free of cost for first-time participants with food, lodging, instruction, gear, and activities covered. Travel costs may be covered. Contact First Descents for more on this and other aspects of this program here: https://firstdescents.org/programs/programs-application/. Free one-week outdoor adventures to individuals 18 years of age and older who have been diagnosed with cancer at any time in their lives. All expenses except travel are covered. Check our Transportation and Housing section for possible travel funding. The application for Epic Experience is available online here: https://www.epicexperience.org/apply/. The Jack and Jill Foundation sponsors free adventures for children whose parent have been diagnosed with a late-stage cancer. As per the website, “JAJF gives families an indispensable, cherished timeout from their cancer… as prescribed by Oncologists.” This program requires a referral by an oncologist. For more information, visit https://jajf.org/oncologists/referral-process/. Four different vacation programs available to breast cancer survivors. Mermaids Empowerment and the Wellness Vacation are for survivors only; the FreeStyle and Staycations are designed for survivors and families. Meals, taxes and housing are usually covered but flights are not. To check current availability, eligibility requirements and to complete an application, visit https://sendmeonvacation.org/our-programs/. For Pete’s Sake Cancer Respite Foundation provides adult cancer patients in active treatment and between the ages of 24-55 with the chance to spend carefree time with their family in a beautiful setting free of charge. Preference is given to people residing in PA, NJ, DE, NY and MD but those outside of this area will also be considered. For eligibility and application, please visit https://takeabreakfromcancer.org/program/requirements/. If selected, Cruising Against Cancer will provide a free vacation cruise for a cancer survivor and one guest. Limited space available. To apply and to learn about terms and conditions of this program, please visit http://www.cruisingagainstcancer.com/apply/ and download the PDF application. Have an inspiring story? We want to hear from you! Get in touch here. All the these are doing remarkable work! I have personally volunteered for hopekids and the smiles these little things put on those kids faces is priceless. Hi Jordon! It’s wonderful you are donating your time to such a worthy organization. Thank you! My cousin has always wanted to go on a cruise with his father and because of the immense medical bills his parents had to bare due to his battle with cancer, they never really got the chance. It is for all age groups, correct? Hi Karen! I’m sorry to hear of your cousin’s struggle. Cancer can be so expensive. Programs like these really can provide a small respite. At this time all ages are eligible to apply. Be sure to check the link, though, to make sure this hasn’t changed.